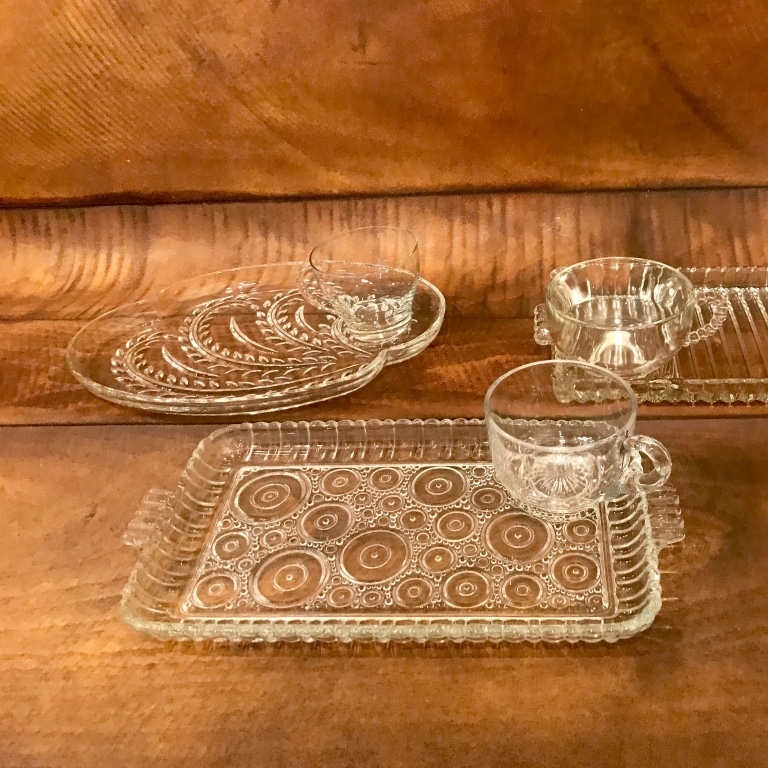 Early American Prescut Glass (EAPC) by Anchor Hocking looks great on any type of table. 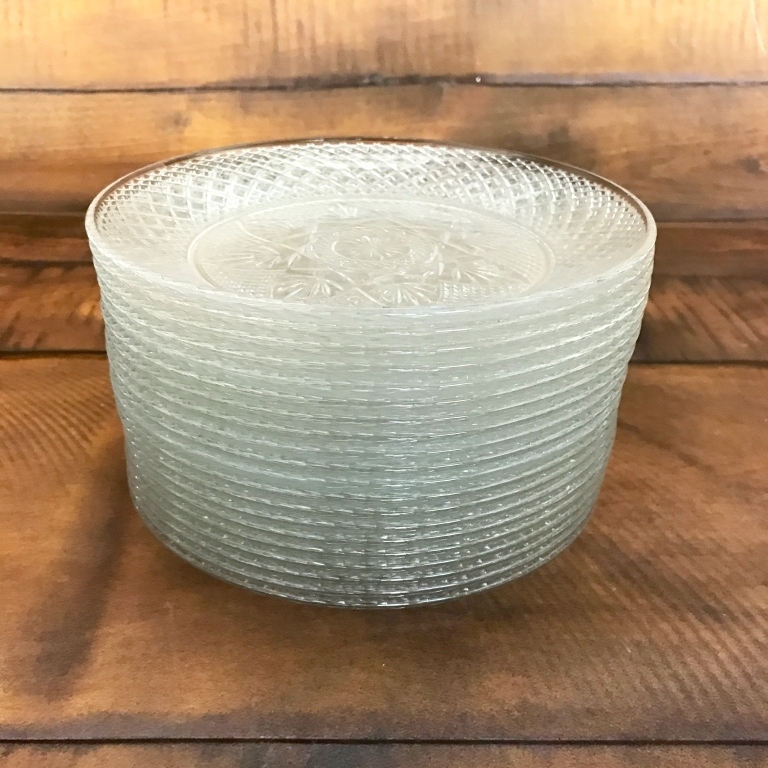 Why not serve your guests cake with these beautiful clear glass plates? All cut glass plates are mismatched. EAPC Cut Glass Dinner Plates. A true Mid-century Modern delight. Each set comes with a plate and matching cup. Use the cup for punch, soups, dips, or even a small salad. These will impress. Mismatched and very unique. Great for Tea Parties or Showers. EAPC Cut Glass Salad Plates. 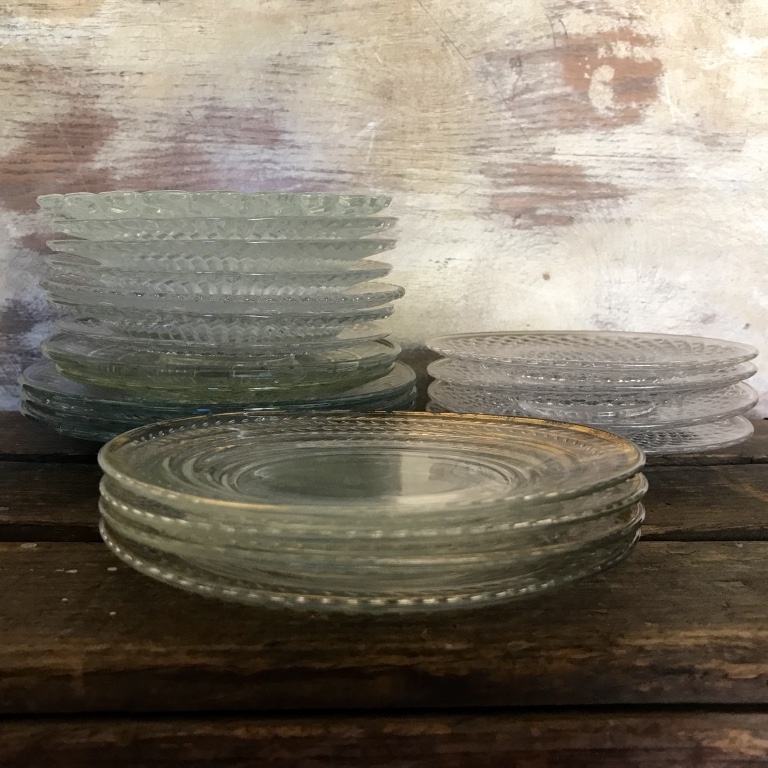 EAPC Cut Glass Bread Plates. 6"-8" Bread or Dessert plate. Mismatched. Great for cake.